Compare the Market CMO Jennifer Williams discusses the brand’s new campaign and the inheritance of ‘Simplesness’ – from famed catchphrase to an entire company’s business philosophy. This Sunday, Australian television screens will see Compare the Market’s latest iteration of its famous meerkats’ adventures. 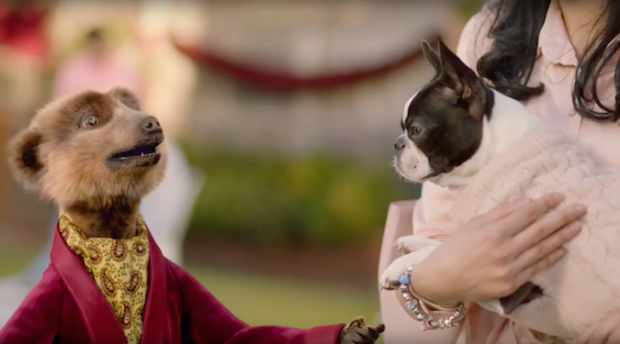 This time, the insurance comparison company’s Russian anthropomorphic meerkat ambassadors have moved to the Australian suburbs, inviting their neighbours over to chat about the troubles they’re having with insurance shopping. The series of TVCs is set to build on the meerkats’ relationship with their Australian neighbours, solving individual issues with the help of their comparison website. Since, Compare the Market enlisted the help of Deloitte Access Economics to develop the ‘Financial Consciousness Index’ – a study aimed at understanding why consumers are unwilling to make changes to their household products and services despite an understanding that they could save money if they looked for a better deal. “The study identified clear consumer apathy when it came to reviewing their products and policies, either because it was seen as too complex or they feared making the wrong decision,” says Williams. Building on the research, Williams says the company developed an entire business philosophy, ‘Simplesness’, from the attitude of its furry ambassadors, “‘Simples’ has always been the tagline that the Meerkats squeak at the end of their ads. So ‘Simplesness’ is a bit of an evolution on that concept, and its one that we’ve started to infuse through everything that we’re doing. The company is also rebranding to further incorporate its meerkat ambassadors into the business itself. In addition to the Australia specific TVC series, Compare the Market is releasing a range of resources including a self-help ebook commissioned through financial author, Melissa Browne, Money Made Simples. “We’ve built a whole range of tools which people can use and we will continue to invest in – be they budget calculators or savings tip generators – you’ll start to see various things roll out, some of which are more financially oriented but also some of which are more lifestyle orientated,” continues Williams.